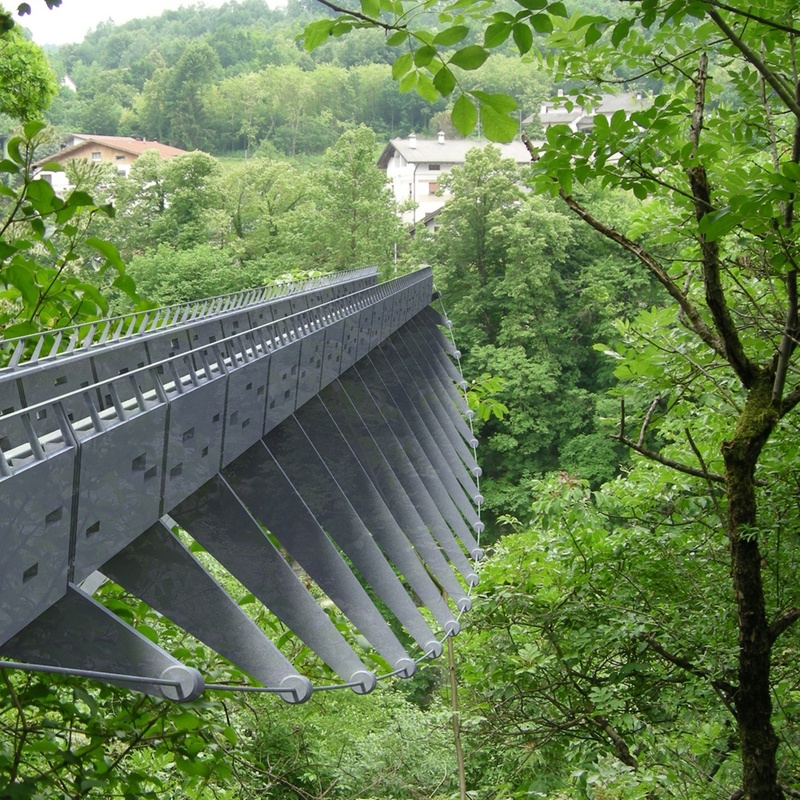 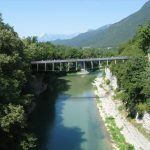 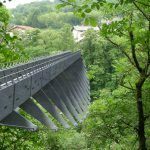 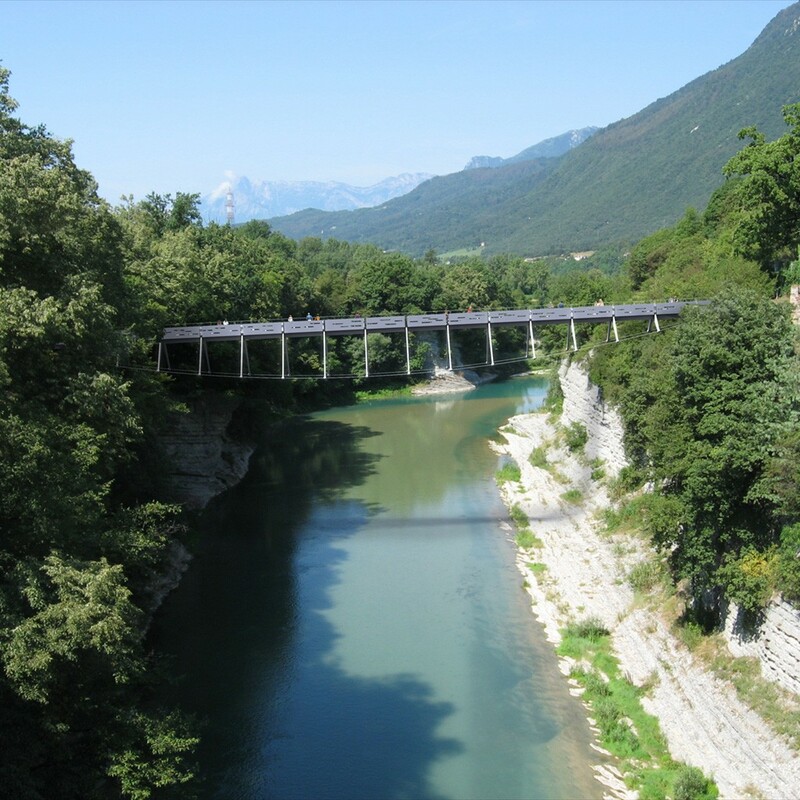 A slender new bridge for cyclists and pedestrians across a 30 metre wide gorge in north east Italy. 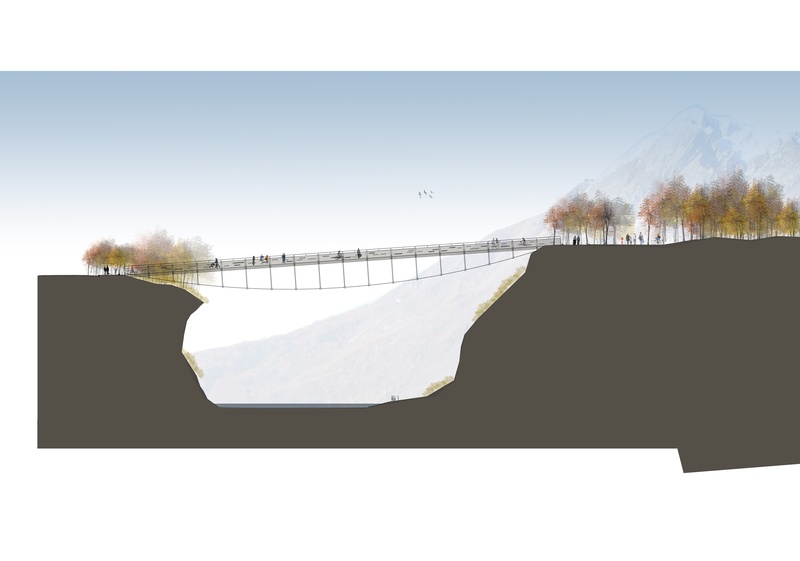 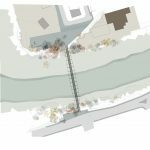 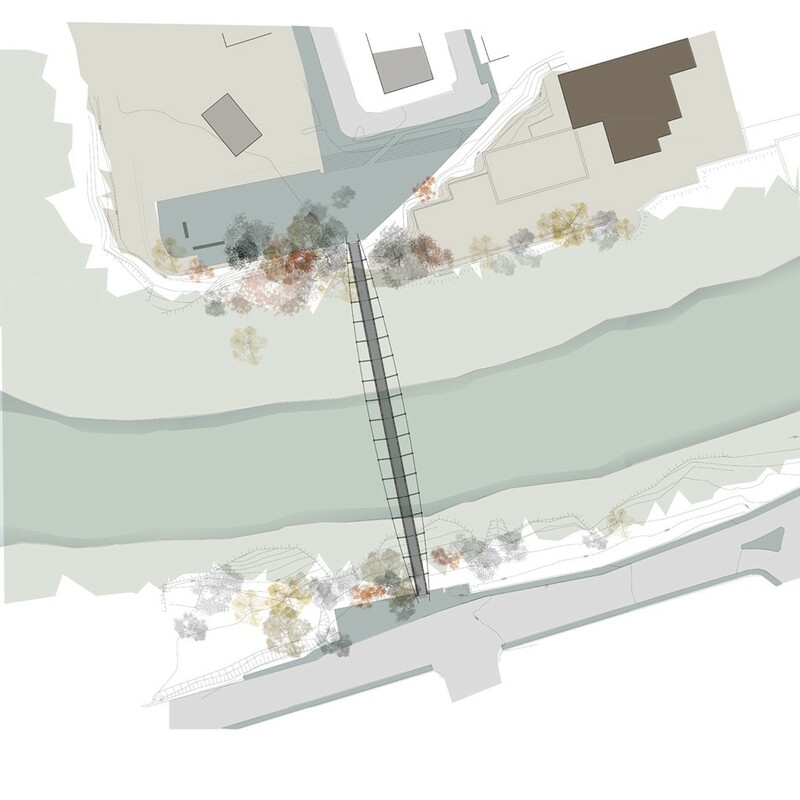 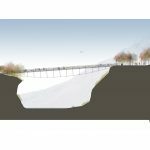 The taut spine-like structure gives users a dramatic experience of the gorge and creates an expressive new landmark for the town. 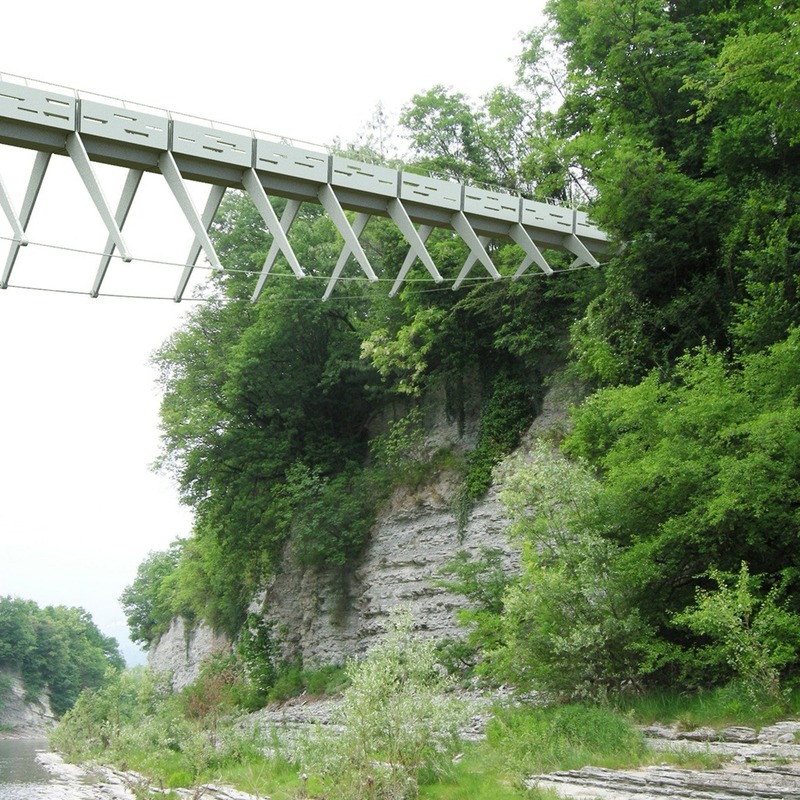 The efficient and economic structure is constructed of precast concrete deck/parapet ‘vertebrae’ sections held apart by steel ‘cartilage’ outriggers and suspended on cable tendons.